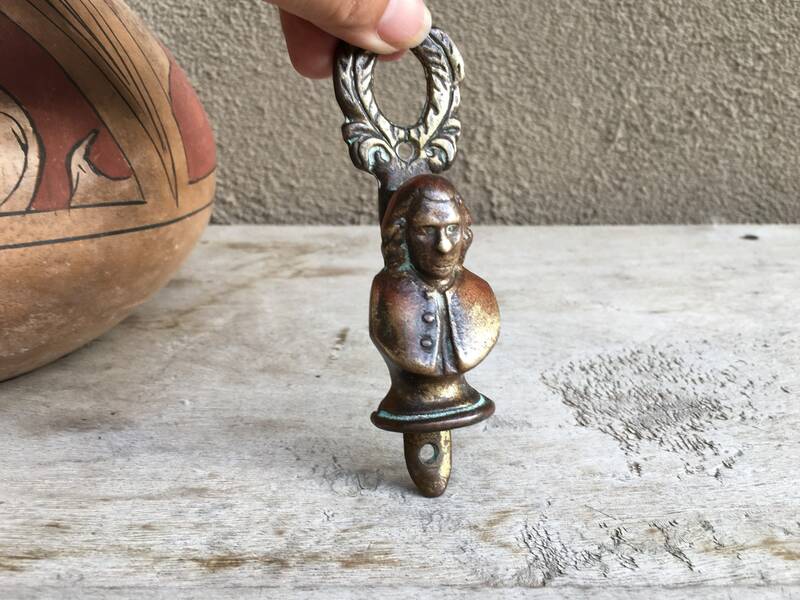 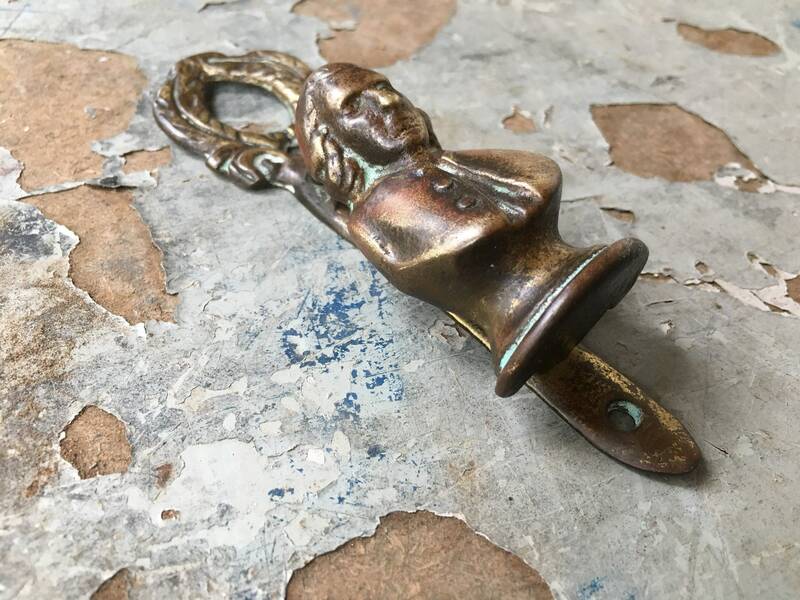 This vintage door knocker is of Ben Franklin, or man from the Colonial Era. 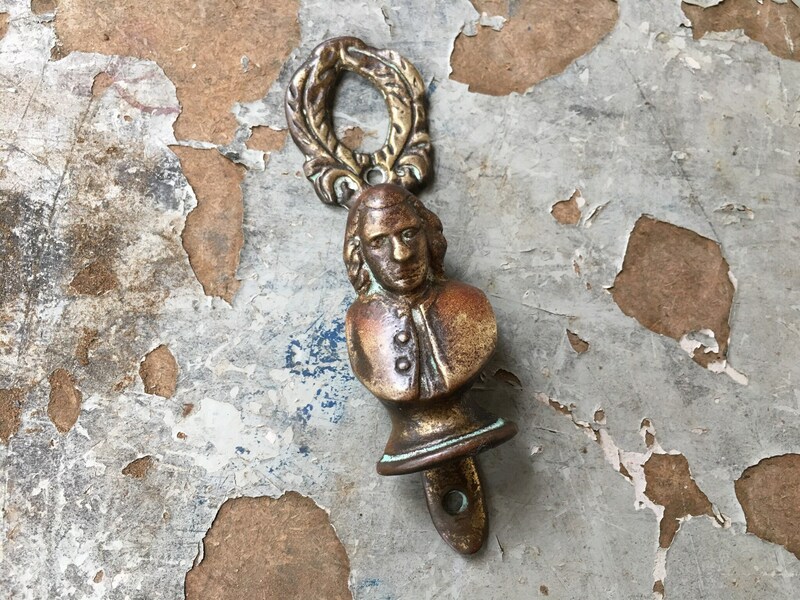 I did find one just like it that said it was Ben Franklin, and he does indeed resemble the statesman. 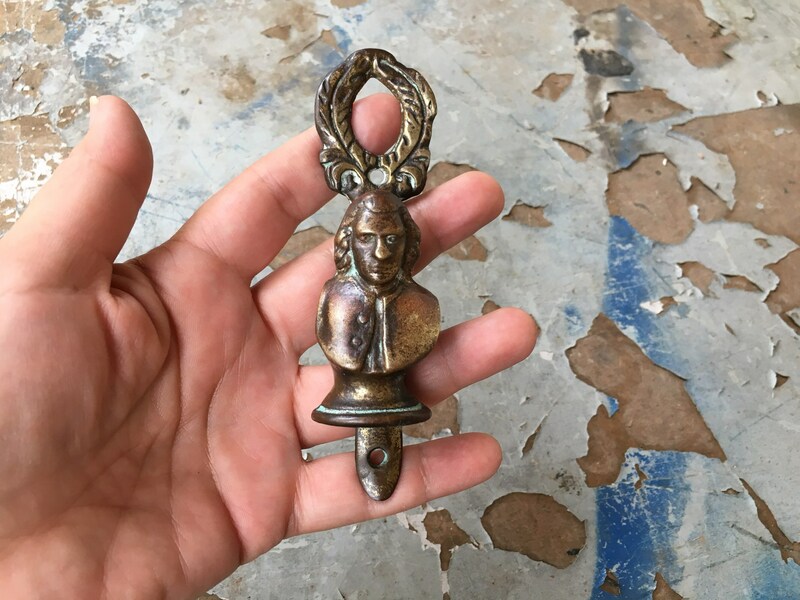 It is a small door knocker, and it is does have some red rust on it. 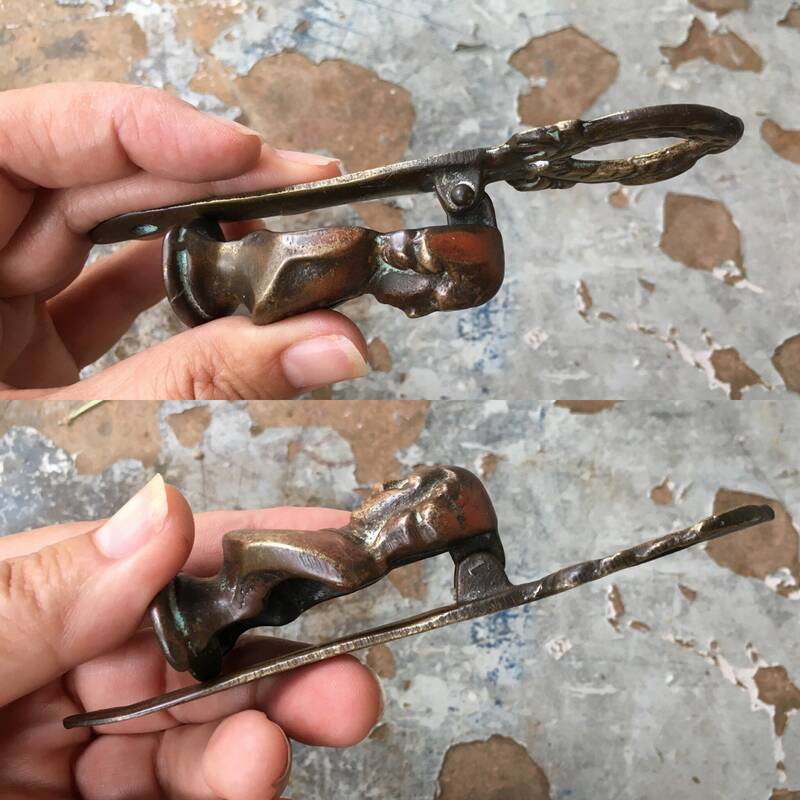 There is what may be a maker's mark on the bottom yet it is so faint as to not be legible. 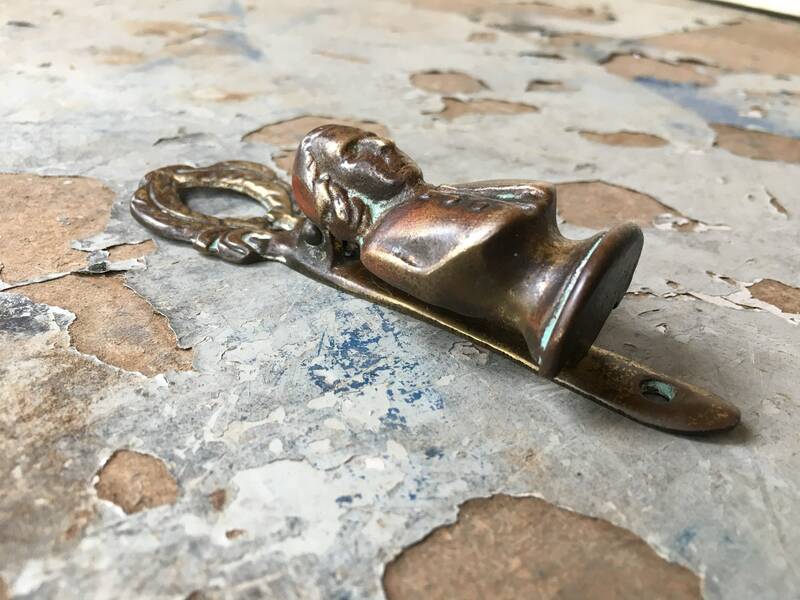 Charming smaller door knocker, attaches to the door through two holes in the strike plate. 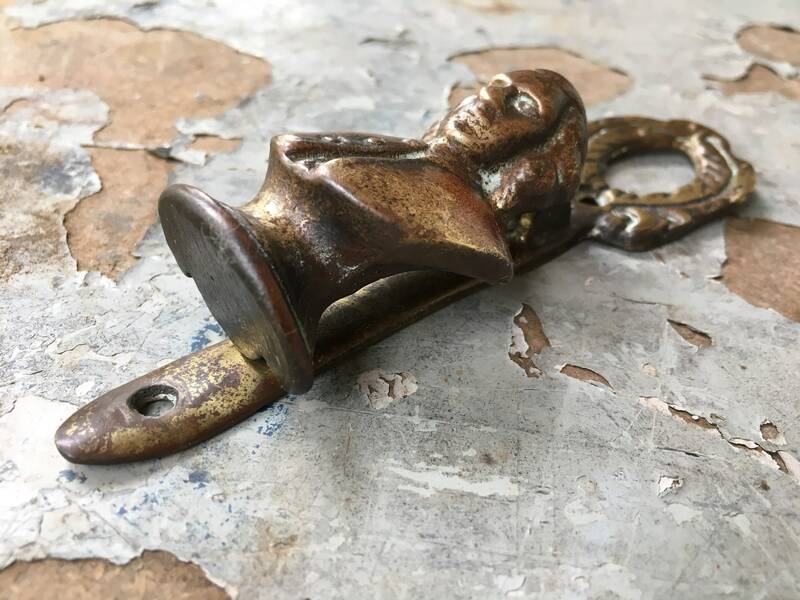 No nails or screws included. 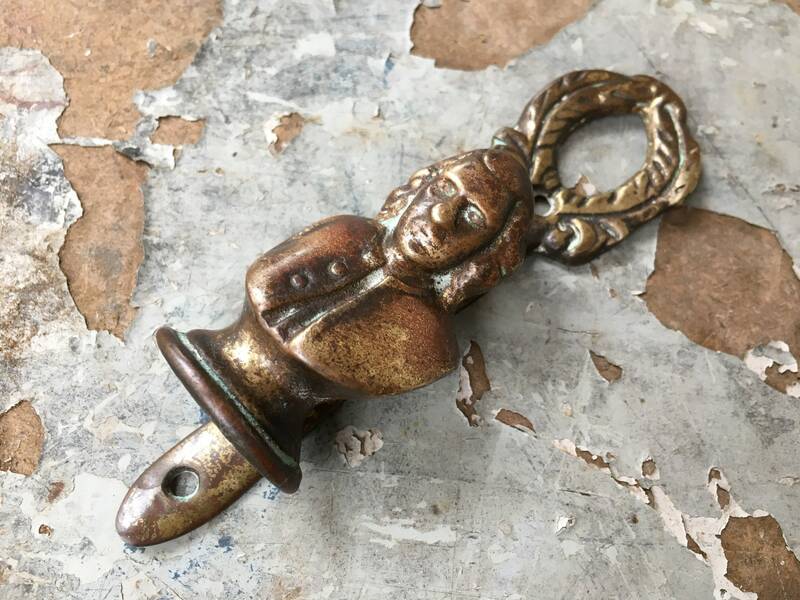 Measures just under 5" tall from end to end by about 1-3/8" wide. 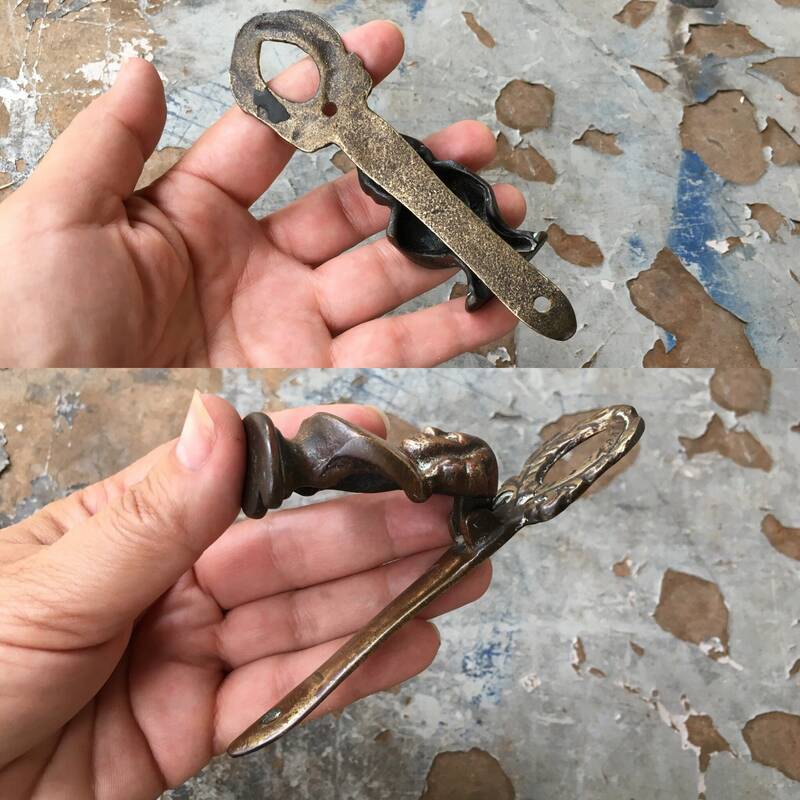 Has scratches consistent with age as well as the red rust and some play in the attachment. 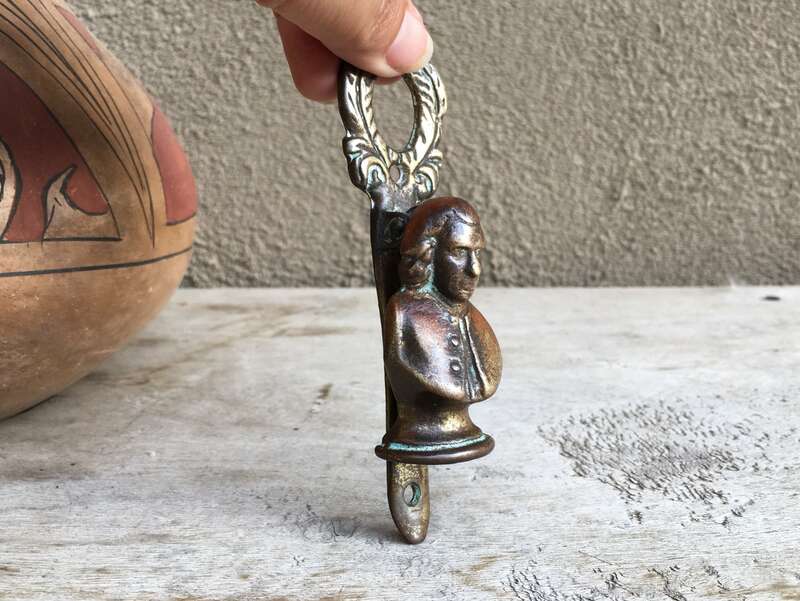 Because what could be better than having Ben Franklin greet your guests?